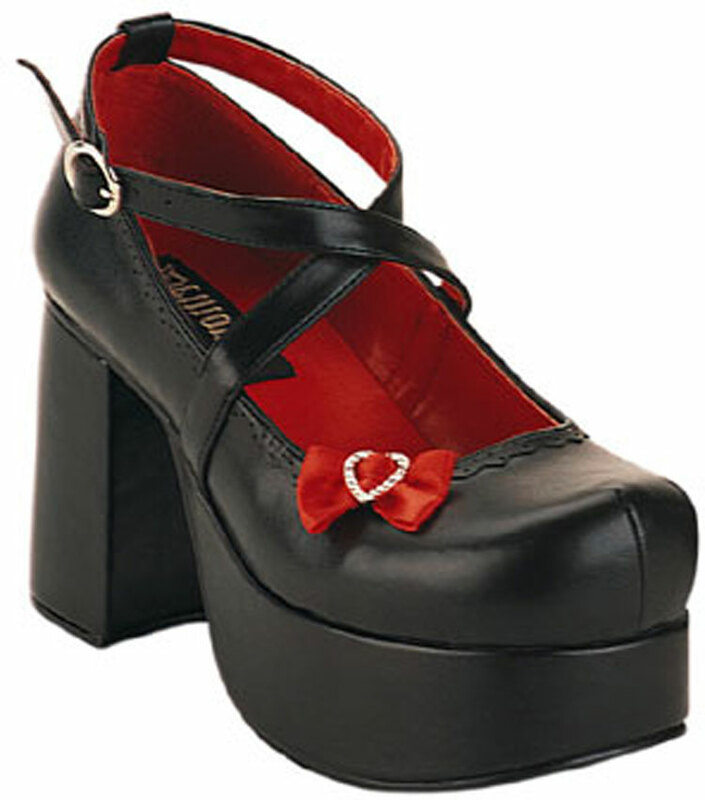 3 1/2 inch platform 1 1/2 inch sole black Pu shoe with clip-on bows by Demonia. 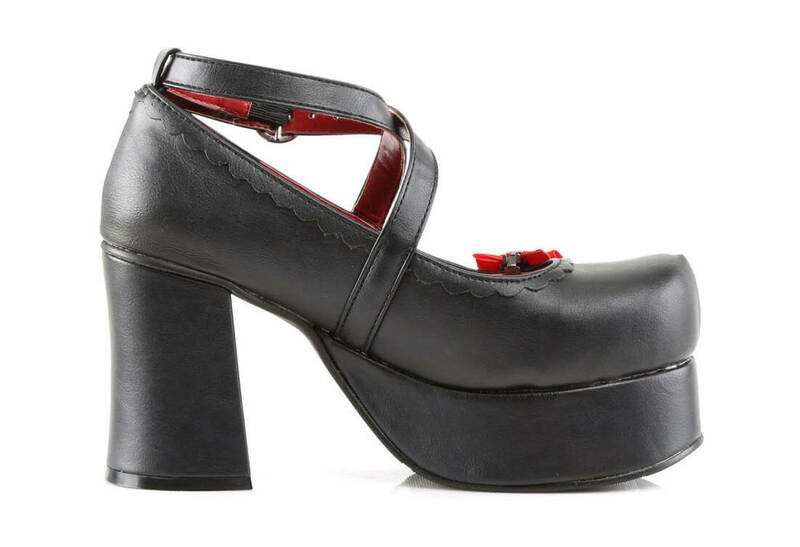 LOVE these shoes!!! They are extremely comfortable. 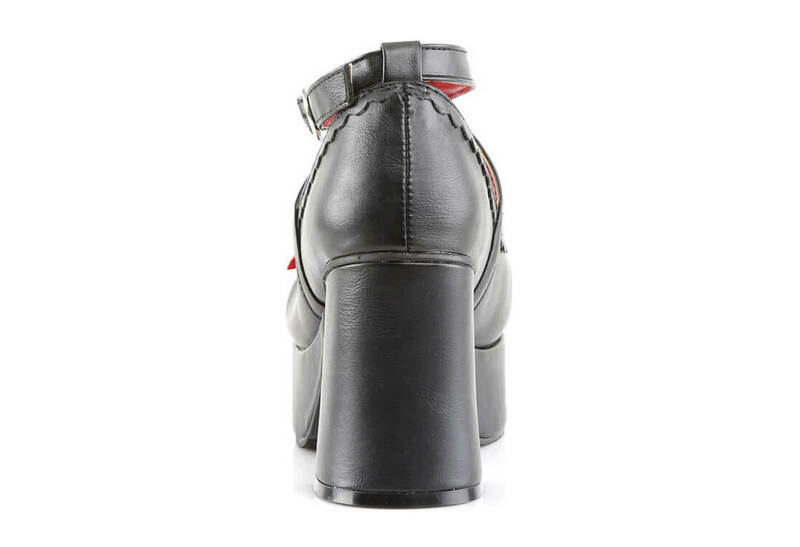 Easy to walk in, and the straps are easy to fasten. The interchangeable bows make them easy to wear with many different outfits. Extremely satisfied.